Youth Ocean Advocates use their time, talents, and passion to conserve our marine environment. Discover the variety of ways you can become involved as a Youth Ocean Advocate at the Seattle Aquarium below. We’re looking for passionate young people who have an interest in learning about the ocean and will work to inspire others to take conservation action. Learn about the marine environment, conservation and advocacy techniques. Teach the public about the marine environment and its inhabitants, as well as about actions people can take to protect the ocean—by educating Aquarium visitors and creating content for our social media campaign. Participate in conservation projects like beach cleanups, tree plantings and citizen science. If accepted as a Youth Ocean Advocate, you’ll join a group of over 140 teen volunteers from across the Puget Sound region. The initial volunteer commitment will be for either a school year or a summer. School-year volunteers participate in a minimum of three volunteer activities each month. Summer volunteers complete a minimum of 20 volunteer activities over the course of the summer. Volunteer activities vary in length from three to five hours. After completing your initial volunteer commitment, you may choose to remain a Youth Ocean Advocate volunteer until the summer after your senior year in high school. Youth Ocean Advocates must be enrolled in grades 9–12 in a high school, Running Start or homeschool program at time of application. We have a limited number of positions to fill each school year and summer. Potential Youth Ocean Advocates must attend one of our orientation sessions. At orientation, you’ll receive an application to fill out and return to the Aquarium. From the applicant pool, we’ll select individuals to interview for the program. Positions are filled based upon the applicant’s interview performance and application. Orientations for our summer session will take place on Saturday, March 2 from 11am to noon and Tuesday, March 5 from 6:30 to 7:30pm. You only need to attend one orientation to be considered for the summer session. 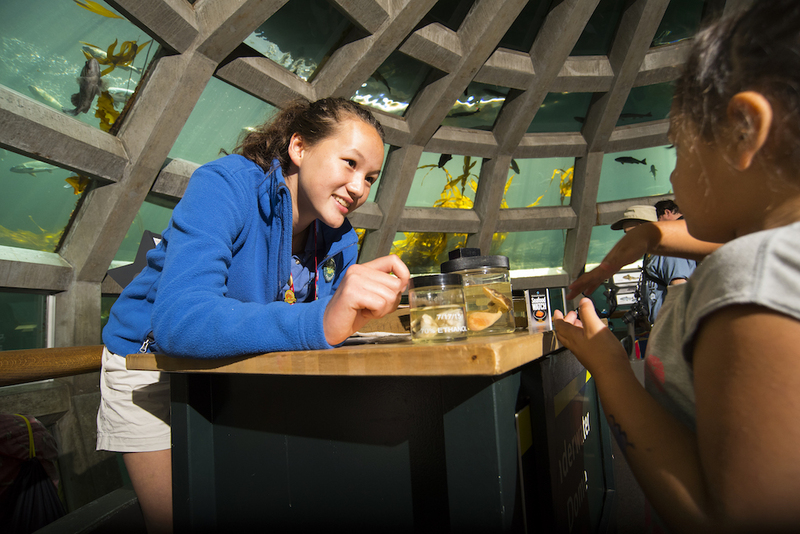 To reserve a spot at orientation, prospective youth volunteers should email aquateens@seattleaquarium.org with the following information: your name, grade (must be a current student in grade 9–12) and date of orientation you prefer to attend. A parent or guardian is welcome but not required to attend orientation with you. Accepted applicants are required to attend an initial training series, composed of four sessions in their entirety. Accepted applicants will choose which series of trainings to attend.Those who cannot complete all four sessions will not be invited to join the program. 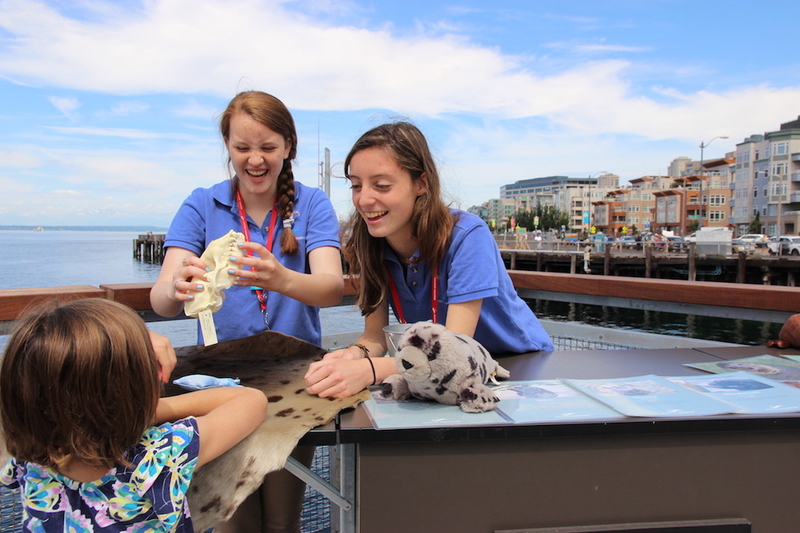 If prospective youth volunteers have specific questions about the Youth Ocean Advocates program, please contact us at aquateens@seattleaquarium.org. We hope to meet you at an upcoming orientation! If you have any questions about the high school volunteer program at the Seattle Aquarium, don't hesitate to contact our staff at aquateens@seattleaquarium.org.